I craft in the fiber art of Crochet and my specialty is stuffed animals. I recently discovered a cute round style I call Roly-Poly and have been making a whole series of plush animals that are in this 'Round' shape. They turned out so adorable, I just had to share them with you. 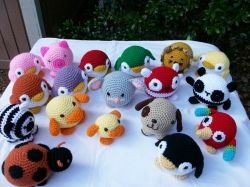 Most of my 'critters' are crocheted in the same basic pattern, with differences in ears & tails and facial features unique to each animal. To give you an idea which animal each plush roly-poly represents, I searched for some 'real' animal pictures to match some of my creations. Welcome to my World of Roly-Poly stuffed animals! All penguins live in the Southern Hemisphere. Some live in cold Antarctica and others in regions like Australia and New Zealand. They range from the largest species called Emperor Penguins (over 3-1/2 feet tall) to the smallest, the Little Blue Fairy Penguin (barely 16 inches tall). 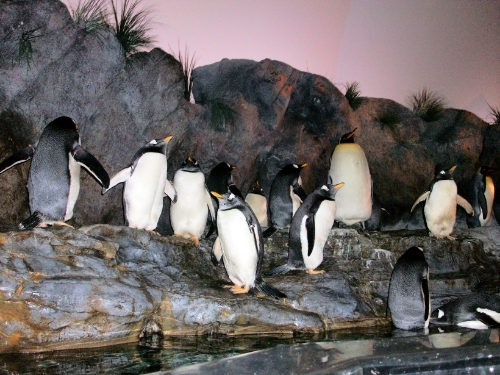 The larger penguins live where it is coldest, with the smaller penguins living in warmer climes, even tropical areas. There are around 20 different species of penguins and their existence has been documented from a million years ago. It would appear to be one of the oldest creatures on earth, and they are equally at home in the water and on the land. These flightless aquatic birds are fascinating to us and I found that children love them in plush form. A cute and cuddly amigurumi-style typical tuxedo Penguin who is crocheted in black and white acrylic yarn and plumply stuffed with soft polyfil. He has an orange beak and feet and his features are embroidered in yarn to make him soft and safe all over. Mr. Penguin stands about 6 inches tall and is about 5 inches from 'wing to wing' He measures 15 inches around his plump body. 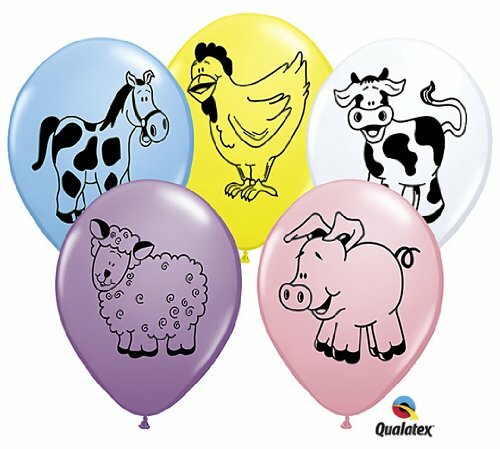 Children love balls to toss and roll and catch, so what could be more fun than a plush animal in a ball shape -- round and roly-poly! A plump plush penguin just the right size for little hands to hold. 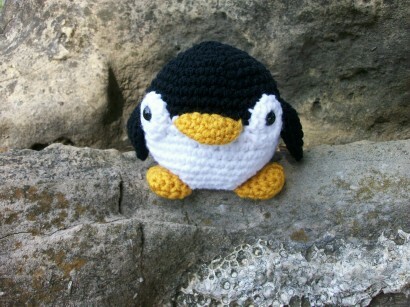 This is my interpretation, in crochet, of Australia's "Little" Penguin. In the past, they were known as Blue Penguins and Fairy Penguins, and are now officially known as "Little Penguins". And they are actually 'blue' (see official photo above). My crocheted version measures just 4 x 5 inches and is made in blue & white acrylic yarn. He is stuffed with soft polyfil and has blue safety eyes for features. 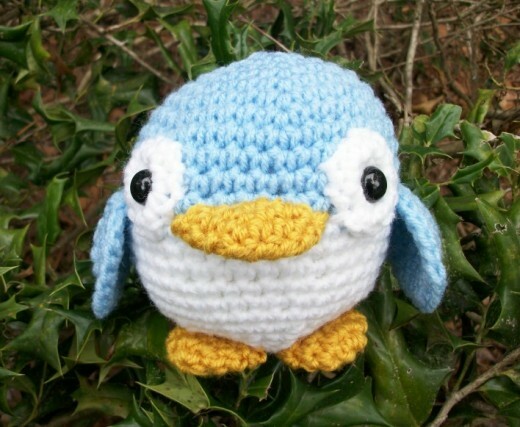 We have the actual 'Tuxedo' style penguin .... and Australia's Little Blue Fairy Penguin, but in the world of crocheted plush animals, colors are not limited to those provided by nature. 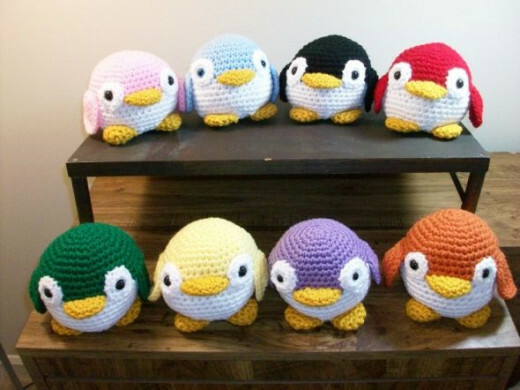 Here we have a Colony of Roly-Poly Plush Penguins in rainbow colors to delight a child! 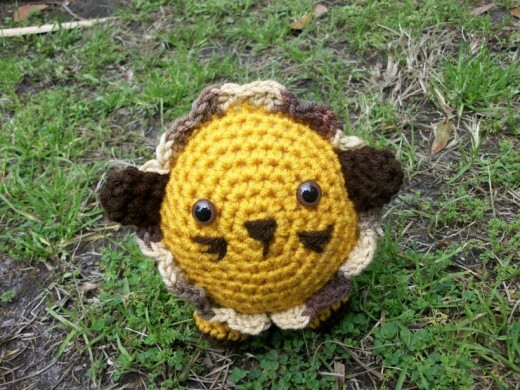 Linda is a plump round roly-poly kind of plush Lion who is soft and sweet and fun to hold. She's a very friendly little lion who seldom ever roars, preferring 'quiet' things, like reading and playing board games. Hand-crocheted with acrylic yarn in gold, and softly stuffed with polyfil, she looks so sweet with her embroidered face. Linda measures about 5" x 5"
My daughter lives in Missouri, home of the Mizzou Tiger at UMC (the college she attended), so naturally had to crochet a tiger! Roly-Poly Tiger is made in the same style as the Lion, using Tiger orange yarn and adding tiger stripes! Tiger measures 5 inches tall, 6 inches long, and is 15 inches around the body. (Made-to-order upon request at Coastal Crochet Crafts on Etsy. 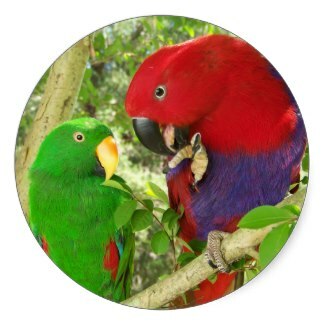 Round and roly-poly is this cute and colorful plush parrot toy. 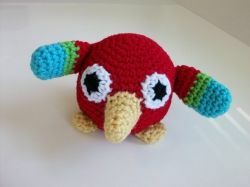 Hand-crocheted in red acrylic yarn, Parrot measures about 5 x 4 inches. His 'parrot' beak is 2 inches long and beak and feet are done in a cornsilk shade of yellow. Parrot's 'feathers' (arms) are each 3 inches long and done in shades of turquoise, kelly green and red. The 'beak' would be fun for 'teething' babies to 'chew' on. 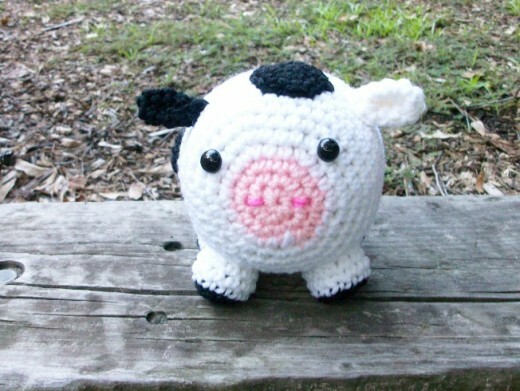 Made-to-order on request @ Coastal Crochet Crafts on Etsy. Giant Panda Bear in Real Life Next to a Smaller Plush Version! 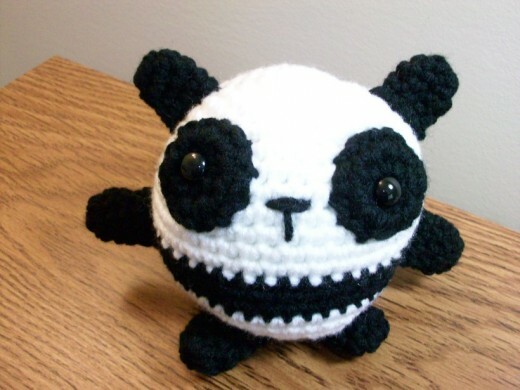 Handmade version in a roly-poly round design similar to the real Giant Panda. 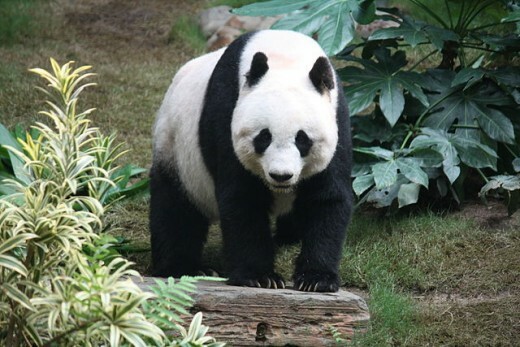 The Giant Panda Bear lives in China and stands 2-3 feet tall at the shoulders and can be up to 6 feet long. They weigh upwards of 350 lbs. 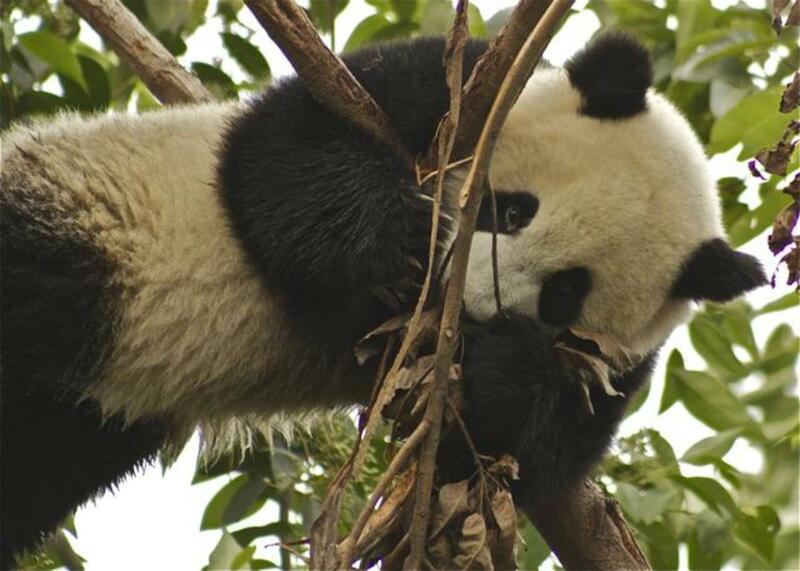 Panda bears never hibernate like other bears, so Polly will be awake and ready to play all year round. Bonsai The Panda is a round plush animal. 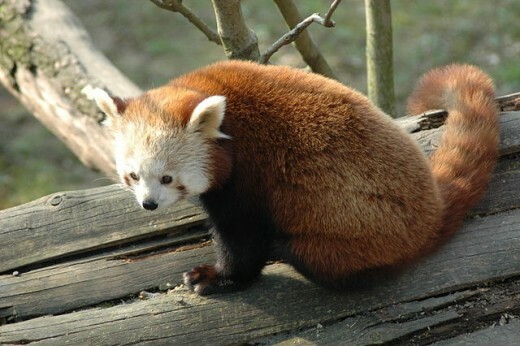 The Red Panda, also called a Red Cat-Bear because it's not much bigger than a domestic cat and rather resembles a cat, or a raccoon, is not really related to the Giant Panda. It is mainly native to the Himalayas and China. They measure up to 4 feet long (including the tail) and weigh between 6 and 13 pounds. The crocheted interpretation of the Red Panda is as close as I could come to defining a Red Panda in crochet. 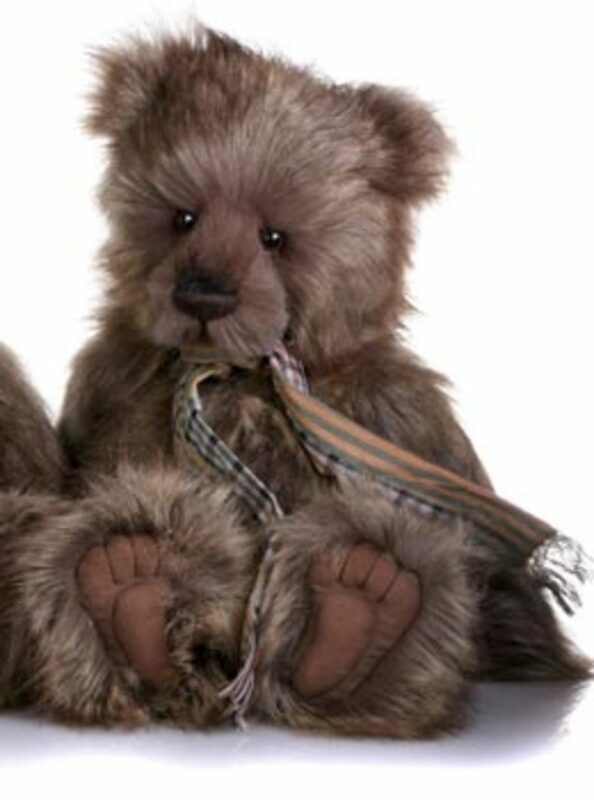 This version is soft & cuddly, weighing only about 8 ounces, and just the right size for a youngster to hold, measuring about 5 x 6 inches and 14 inches around his plump belly. As Round as she can be! Penelope is a perfectly delightful Piglet, cute as she can be in her light pink coat with deep pink ears, nose and tail. She feels very stylish, in fact. 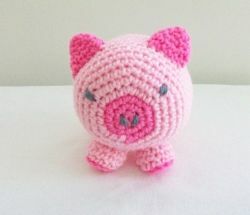 Penelope is a roly-poly piglet crocheted in the amigurumi style and is approximately 5" x 5" and about 13 inches around her plump pig belly. She is filled with polyfil and her eyes are embroidered in yarn. A Black & White Cow! 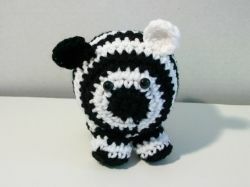 Connie the Cow is hand crocheted using acrylic yarn in black and white. Her 'nose' is pink, her 'hoofs' are black and she has black 'spots' all over her body. One ear is white, one ear is black! Connie measures 6 x 7 x 5 inches, a roly-poly & round design that makes her very hugable! She's filled with soft polyfil. 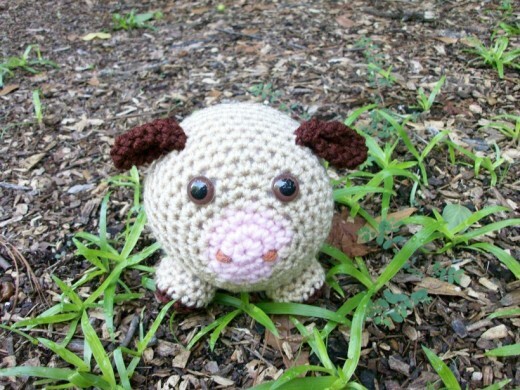 Charlene the Cow is hand crocheted using acrylic yarn in tan and brown. Her 'nose' is pink, her 'hoofs' are brown,and her body is tan. Her ears and tail are brown and she has big brown safety eyes. She measures a round and roly-poly 4 x 4 inches in size. There's Nothing Cuter than Cats & Kittens! 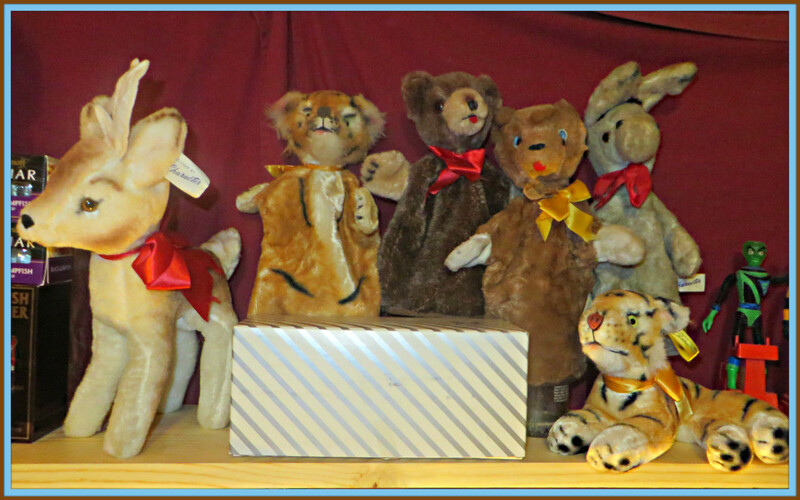 Cats are PURR-fect in Plush! Cats can be any color in plush! Pink Panther Pussycat and Teal Tomcat are a pair of plush kittens who love to play with their cat toys and yarn. 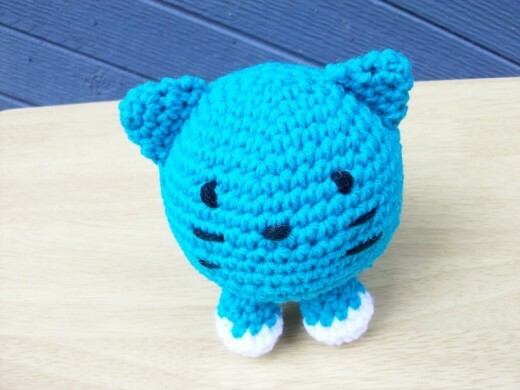 These cute crocheted cats measure about 4 x 4 inches with a 3 inch tail. The best thing about creating plush cats in crochet is that you can indulge your 'flights of fancy' when choosing a yarn color. 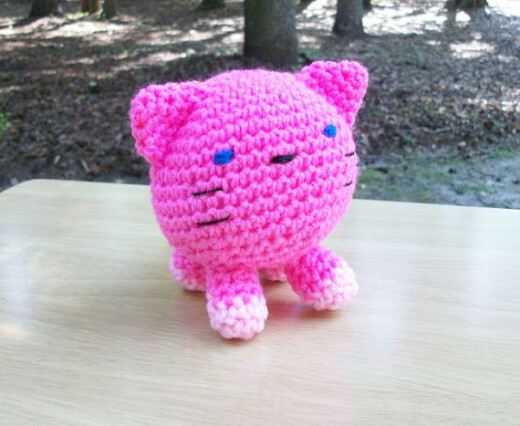 Why not have a Pink or Teal-Blue cat? One is limited only to one's imagination! Eeks ... A Mouse in the House! 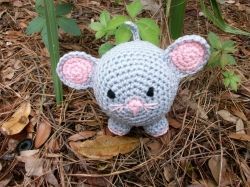 Mindy, cute & roly-poly at 5 x 6 inches, is crocheted of gray acrylic yarn with pink ears, feet & nose and stuffed with polyfil. Roly-Poly plump plush Patches the Puppy Dog. He is hand-crocheted and is so soft and cuddly. 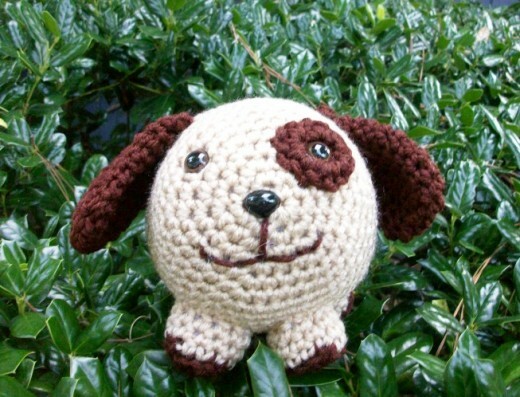 He's a round (5" x 5") roly-poly Amigurumi Plush Puppy in tan & brown acrylic yarn. 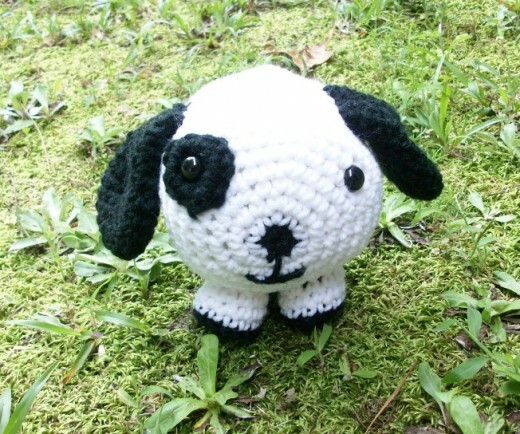 Peter the puppy is is crocheted in white with black accents in a washable acrylic yarn and is a playmate of Patches. What an adorable St. Bernard puppy in plush! 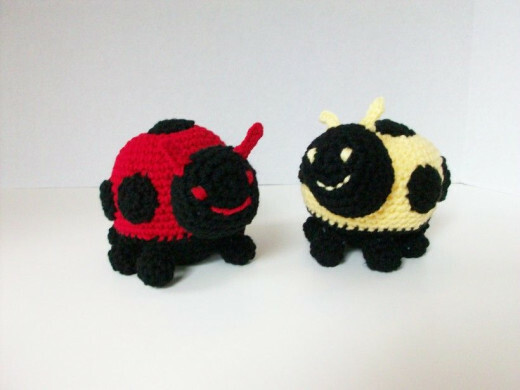 Red, Yellow or Orange -- all Lady Bugs are cute in Plush! Red Lady Bug loves warm weather and garden-time, flitting and frolicking among the plants. Since she's a plushie, she's also fun to cuddle. 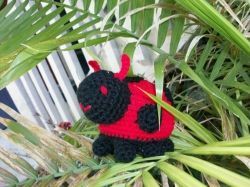 Currently, little Red Lady Bug is spending time in the Etsy Shop of Coastal Crochet Crafts, waiting for a lady bug fan to come along and find her. Come in Red, Orange and Yellow! Did you know that lady bugs can be found in yellow and in orange, as well as red? 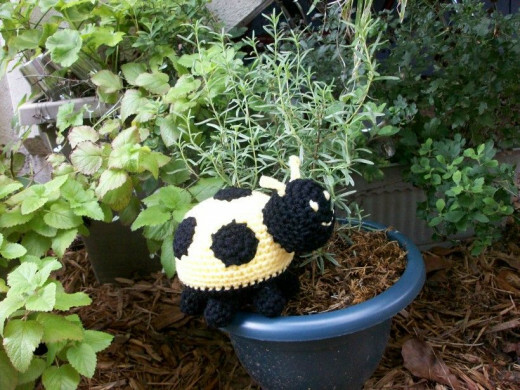 This Yellow Lady Bug is soft and cuddly and fun -- a colorful Lady Bug plushie that will delight any youngster (or collector of Lady Bugs). 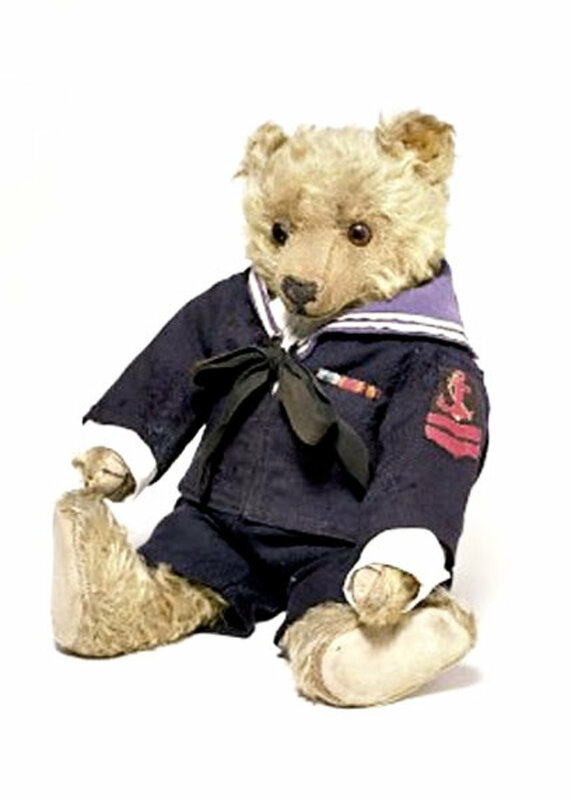 Or in a 'plush version', so you can have one all the time! Crocheted in the Amigurumi Style of cuteness, Zippy Zebra is a soft and cuddly plush toy just the right size for little hands to hold. Measuring a nice round 4 x 4 inches. There is one black ear and one white ear and a black & white tail. Zippy the Zebrais the perfect plush animal for anyone who loves jungle or zoo animals. Which was your favorite roly-poly animal in plush on this page? 'Round about now..... - We come to the end of our Roly-Poly story. Hi pjsnsn. Thanks so much for visiting my roly-poly plush pets article. 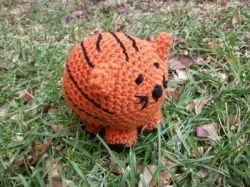 The tiger pattern is one I adapted from the roly-poly Lion pattern found in "Vanna's Choice Easy Crochet Critters" pattern booklet from Lion Brand Yarns. If you go back up to the lion image, I have added a link to the book available on Amazon. Also, I have made a little wolf in the past. 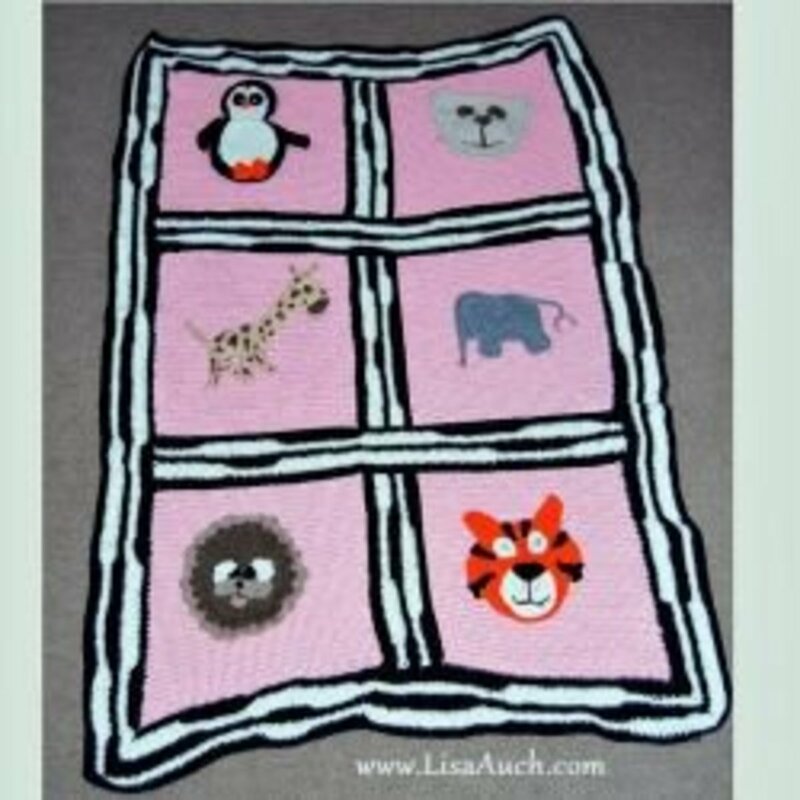 The pattern I used is free and found on the Lion Brand Yarns website. Thanks. 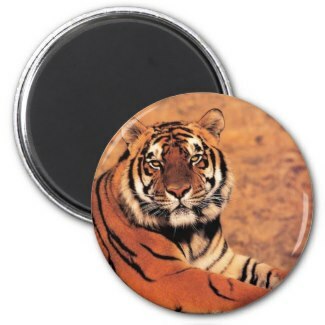 How can i get the patterns for the Tiger roly poly ? Do you have a Wolf also? Love your collection of roly poly critters! Thanks for the visit @Brite-Ideas. Delighted you liked my roly-polys! I love these! 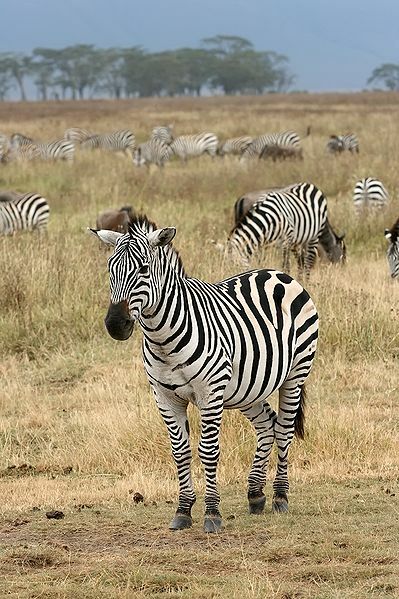 The cow and zebra are most adorable! Hi these are so cute, love the puppy and zebra. Oh I just love your lens! Not only is it so attractively laid out, but the little animals are just gorgeous. I like the fairy penguin. LOVE these!! Each one I looked at I loved then I saw the next one and fell in love again! These are so cute. I love the Plump Roly-Poly Puppy but they are all super cute! LOVE these! Especially the Piggle and the Mouse. Keep them coming! I'm torn between the roly-poly puppy and that adorable mouse! Ladybug, Mouse, and Penelope Piglet rule! what a great hybrid to the stuffed animal! Oh, those are so cute! I think the pig is my favourite. Those are just too precious! My favorite is the ladybug. I like the Panda, reminds me of Po from Kung Fu Panda. Love them all...wish I can do these things. I loved them all, but the lion mane was really great. You are very talented. Great lens. These are totally adorable and I love how you presented them in this lens. My son loves lady bugs, have been looking for a stuffed one, great items! Loved the tour and loved Penelope the piggy. I crochet too but like knitting better. You have made me want to get out my crochet hook. ***Blessed by a SquidAngel *** for the Oh-so-adorable factor and because you are so clever! I can't choose my fav - I love them all. Your creations are adorable! I love the blue penguin. Blessed by a Squid Angel. OH HOW PRECIOUS!! Except for writing, I've never been very creative. My Grandma tried to teach me how to crochet but......not a good experience for her. Loved the lens and your little critters. I love the little tiger, adorable! These are soooooo adorable. I love them! Hehe aww the penguins my favorite. These are adorable. Sooo cute. Umm, Waco, Riley, Freddie, Teddy, Charlie and Honeybunn says they didin't see a dog anywhere there. Roly-Polys are very cute. Haha I enjoyed your comment and story about baseball. Thanks for telling me. My sales dropped in the beginning of '08 on ebay and etsy so I closed the ebay and I do not post on Etsy much. I have now noticed tea bag folding is more popular and more people are using it for cards. Much success with your crochet and all the interests it links to. I think your Roly-Poly's are adorable. I am sure the kids everywhere love them. All just so damn cute! I love these! My favorite is the penguin! Blessed this lens! Adorable lens - your Roly-Poly animals are charming too! How absolutely adorable these all are! 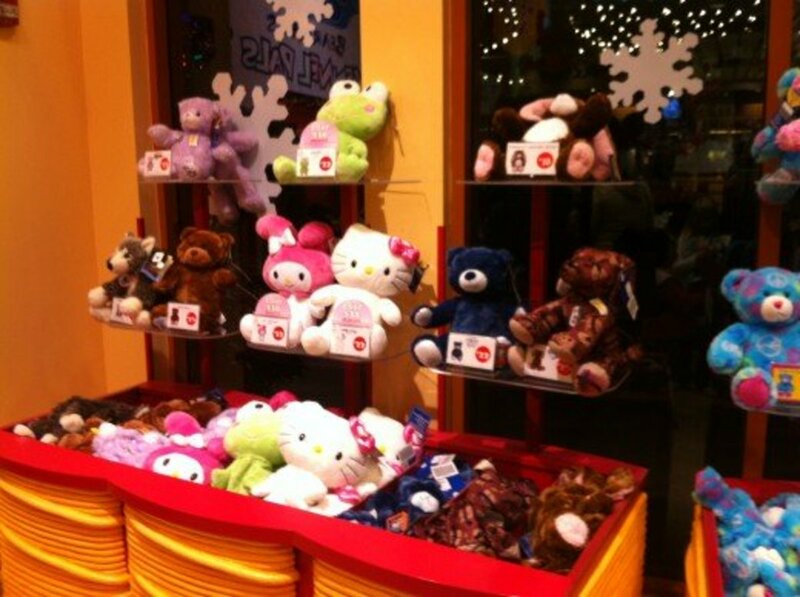 Those are way cuter than Webkinz I wish I could buy one! Spreading *Cupid Kisses* on Valentine's Day to my favorite Elf! Wow!! They are so cute!!! I want them all!! Oh, my goodness. I love all of your little animals and especially your little penguins. But, oh, my! Sierra the Siamese Cat is adorable. These are adorable! I love the Blue Penguin! 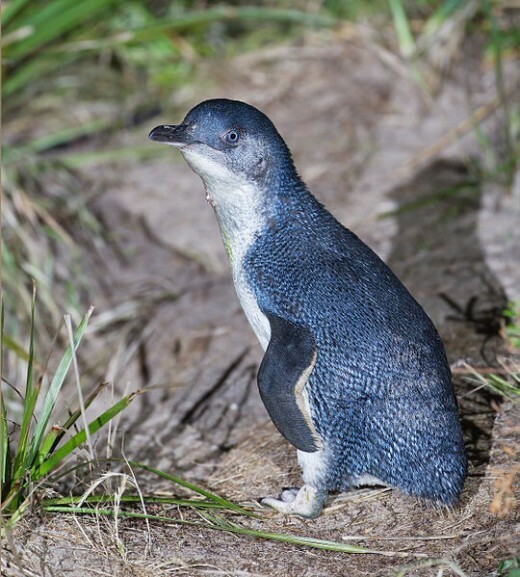 The Little Blue Fairy Penguin steals my heart - first witnessed their delightful nightly arrival at Phillip Island some 30+ years ago - and our small son imitated their sound and walk for months afterwards! 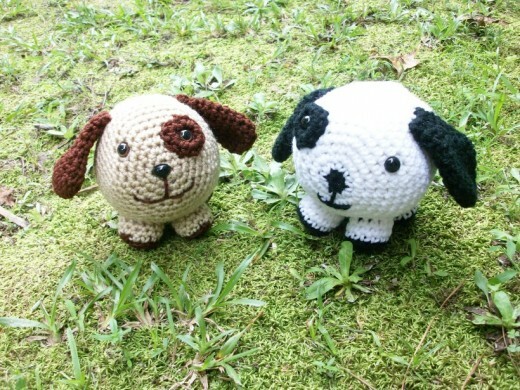 Your creativity with your crocheting is a wonderful gift. Congratulations on your beautiful work. You had me smiling, cuter than cute! 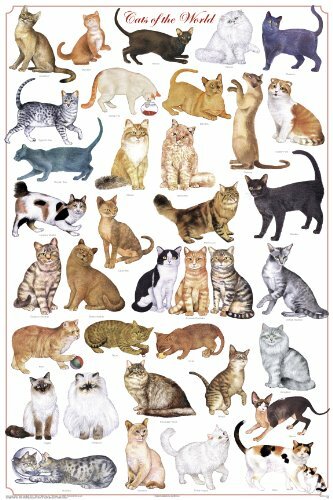 My favorite is the Siamese cat. 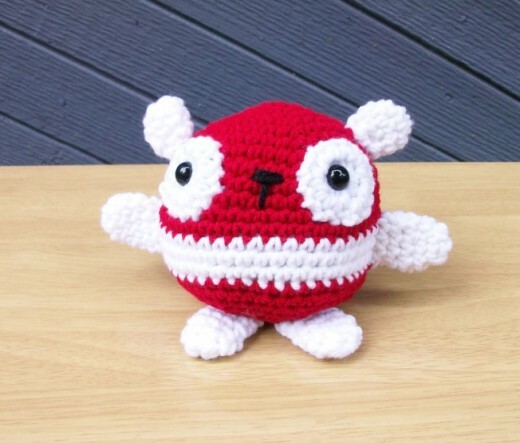 I used to crochet a lot, but I haven't done it for a few years. I made some stuffed Siamese and black cats. You are sooo talented. 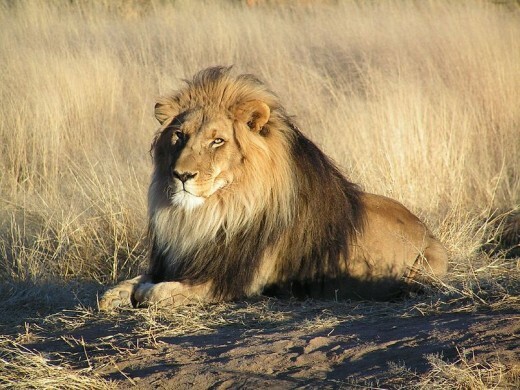 I love them all but I think I am partial to the lion. He is adorable!! Thanks for sharing your love of craft! Stopped back by to give you a blessing and added this to my lens December Blessings. Oh Oh Oh ... are we having fun yet? I am ... seriously! Your little critters always make me smile. Your stuffed animals are so adorable! You do such fantastic work, I think I just found my granddaughter's birthday gift! These are so completely adorable! I'm amazed at them! ADORABLE!!! I love the penguin and the sweet lion. Just great!! Thanks for sharing. omg what. how do i order these?!?!?!? You are very talented! I want one of each! These are beautiful presents to give to kids anytime. Oh my gosh these are the cutest darn things! I love them! @Mihaela Vrban: Thanks, Michelle. I'm about to add some more animals to my roly-poly line -- have plans for a Cow', Dog, and Cat! Love these! :) I've fell in love with them! ;) Just imagining how much fun my little girl would have playing with them! :) Beautiful work! I did enjoyed this lens. Cute little things to make. These roly-poly animals are darling! The penguin is especially cute! Best of luck to you. These are so adorable! I love them! Awesome!! !